Originally from Seattle, WA, Dr. Singh attended Kent Meridian High School and then attained his Bachelors degree from University of Washington. 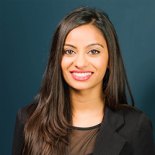 Dr. Singh graduated from Temple University Kornberg School of Dentistry in 2009 and currently serves as a member of AGD (Academy of General Dentistry). Upon earning his DMD, Dr. Singh practiced dentistry in the greater Philadelphia area for about 6 years. His gentle demeanor in the office had translated into strong loyalty with both patients and staff. He has found his passion over the years – serving the community as a dental care provider. Dr. Singh provides services to promote oral health care and help patients achieve smiles they’ve always desired. His care is comprised of comprehensive dental services including preventative, family, restorative, emergency, implant and cosmetic dentistry. Dr. Singh is actively involved in enhancing his dental knowledge to ensure the best techniques and equipment are utilized for his patients. Over the last three years, Dr. Singh has completed over 400 hours of continuing education seminars and courses in multiple aspects of dentistry – including implants, orthodontics, endodontics, and periodontics; allowing him to incorporate both the art and science in quality dentistry. 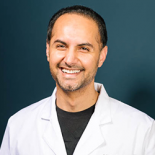 The knowledge he has attained from investing these hours into dentistry, along with his personal experience and extensive training, reflects in the distinctive oral care and education he provides for his patients. When not in the office, you can find Dr. Singh enjoying his favorite hobbies like running, watching documentaries, trying new foods and meeting new people. Dr. Singh looks forward to the opportunity to work together with you to help you achieve the healthy and beautiful smile you deserve. Dr. Suzuki is from a dental family. His father, Dr. Jon B. Suzuki, is a periodontist, professor of Microbiology and Immunology and Professor of Periodontology and Implantology at Temple University. His mother, Pamela, was a certified dental assistant and office manager, while his brother is an attorney in Michigan. Dr. Suzuki graduated with his DMD from Nova Southeastern University, Ft. Lauderdale, FL. He completed a 3-year surgical residency in Periodontics and Oral Implantology at Temple University, Philadelphia, PA, where he also earned his Masters of Science degree. Dr. Suzuki trained under the tutelage of world renowned mentors Professor Carl E. Misch, Director of Oral Implantology and Professor Jon B. Suzuki, Chairman and Graduate Program Director. He has published research in bone grafting for implant site development conducted at the Primate Research Institute (CEMIC), Buenos Aires, Argentina. Dr. Suzuki is a Diplomate of the American Board of Periodontology (a Board Certification less than half of all Periodontists attain). He also has achieved Diplomate Certification in Oral Implantology from the International Congress of Oral Implantologists. Dr. Suzuki has recently been inducted as a Fellow in the American College of Dentists, F.A.C.D., (achieved by less than 1% of dentists in the world) and also elected into the Omicron Kappa Upsilon Dental Honor Society. As an advocate for continuing education, Dr. Suzuki teaches dental students, residents and dentists, which enables him to deliver the most advanced and evidence-based therapies in caring for patients. 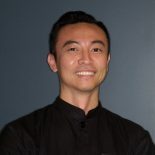 Dr. Suzuki is a Clinical Assistant Professor at both the University of Washington and Temple University, Philadelphia, PA. Dr. Suzuki lectures at numerous meetings, demonstrates live patient surgeries, and conducts hands-on workshops to dentists and residents around the country. He is past-president of the Washington State Society of Periodontists, and served as a State representative of the Western Society of Periodontology. Dr. Suzuki serves on the Dental Conference Committee for the Washington State Dental Association. He also volunteers several weekends each year for Mobile Teams International, a dental service organization providing care to homeless and financially underprivileged individuals. 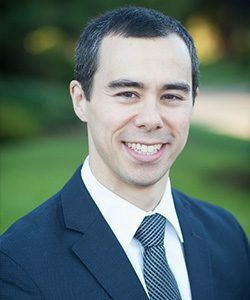 Dr. Suzuki grew up in Pittsburgh, Pennsylvania, but visits to family in Seattle during the summers brought him back for good. In his free time he enjoys swimming, volleyball, climbing, movies, and spending time with family and friends. He has trained in Tae Kwon Do and is an Eagle Scout. Vaidevi grew up in the suburbs of Philadelphia, PA. She has been a resident of WA since December 2015. She received her Bachelors in Business Administration at Temple University in 2009. She recently obtained a Master of Business Administration from La Salle University. She has spent the past 7 years in Corporate America and is now ready to dive into the family business with her husband, Sonny (Dr. Singh). Vaidevi is starting to explore the wonderful outdoors of Seattle. When not in the office, you can find Vaidevi hiking the scenic trails of Washington. Christiney is originally from Tacoma but moved to Seattle to attend the University of Washington. While at the UW, she completed a series of prerequisites to attend the Dental Hygiene program at Shoreline. She chose the profession of dentistry because dental caries and periodontal disease are the two biggest threats to oral health and are considered a silent epidemic. She wants to focus on educating patients while providing gentle care. When she’s not working, you can find her eating sushi, hanging out with her friends/family, or at the gym burning off last weekend’s splurge fest. Hai is a graduate of Shoreline Community College Dental Hygiene Program and holds a Bachelor’s degree in Atmospheric Science from the University of Washington. 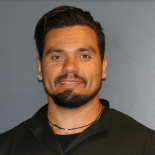 He is passionate about dental hygiene and believes in educating his patients to have good hygiene practices not only in the dental chair, but most importantly at home. Outside of dental hygiene, Hai has three main passions; food, tango, and travel. His life goal is to travel to, dance in, and eat from as many countries as possible. Cathy grew up in Southern California and moved to Seattle in 1991. Cathy received her Bachelor of Science in Biology and Chemistry from Washing State University, followed with a degree in Dental Hygiene from Pima Medical Institute. She has been in the dental field since 1984 in various specialty practices. 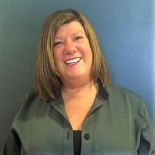 Cathy’s friendly and wonderful disposition is what allows her to provide most professional and through dental care to her patients. Outside of work, Cathy enjoys sailing on the various lakes of Washington. She also loves fine dining! Christian grew up in Bellevue, WA. He has been in the dental field for more than 3 years. Christian attended Pima Medical Institute for his dental assisting licensing. When not working, you can find him at the gym or meal prepping for the week. Christian also has a passion for interior design which is why he also works with his brother on the weekends doing upholstery. His passion for helping people has landed him in the world of dentistry and personal fitness training. He loves when a patient walks out the office with a big smile on their face. He wants to continue to have a positive impact on each of his patient’s oral health. Tanya is a Registered Dental Assistant. She. She was born and raised in Seattle and grew up in Mount Lake Terrace. She received her certificate at Charter College and has been in the dental field for 3 years. Tanya loves connecting with people and being able to make each patient’s appointment as seamless as possible. She believes in patient education so that they can improve their overall oral health while making them feel at ease. When she’s is not working, you can find her coaching the volleyball team at the Boys and Girls Club and exploring new restaurants and cafes. 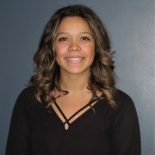 Born in Renton and raised on the Kent East hill, Alexis attended Green River Community College as part of their running start program and went on to receive an Associate Degree, with a particular interest in anatomy classes. Afterwards while seriously considering careers the medical field and gaining an extensive background in customer service it was an exciting opportunity becoming part of the First Hill Dental Team. Currently Alexis is enjoying living just blocks from the Space Needle and spending weekends running/ hiking new trails, finding new recipes to try, and meeting up with friends for brunch, dinner, or really any meal. 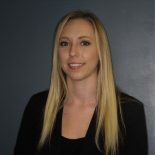 Dayna grew up in the city of Pittsburgh, Pennsylvania and graduated from the University of Pittsburgh with a degree in Biology and a minor in Chemistry before moving to the west coast. She grew up reading, dancing, and teaching and continued to do so after driving across the country in 2015 to LA with her two cats, Mushu and Apollo. She traveled North to Seattle in 2017 with the intention of settling in as she continues to explore the opportunities this Emerald City has to offer. Dayna has a grand passion for customer service, and has been working in the field for over 8 years. Her passion in the dental field grows each day as she aims to make every patient smile before they leave the office. 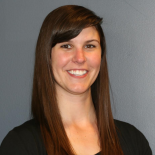 Kelsea is a Seattle native and has had a strong dedication to customer service for the last 9 years. 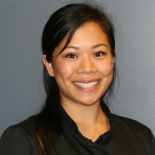 Her passion for helping others and connecting with people is what brought her to the wonderful field of dentistry. She strives to create a culture of warmth and be a supportive figure through the improvement of each patient’s dental health. When Kelsea is not in the office, you can typically find her immersed in sports, as well as exploring all that Seattle has to offer with her friends and family. 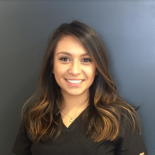 She wants to continue to expand her knowledge in the world of dentistry while continuing to connect with each patient.